Perk of dating an artist? You're going to be the subject of your partner art creations! Here a digital sketch I did a year ago. I was just drawing a generic guy which didn't get nowhere, so I just turned my head and start to draw Kym on the top of it, while he was playing videogames (that' why the proportions are not realistic). 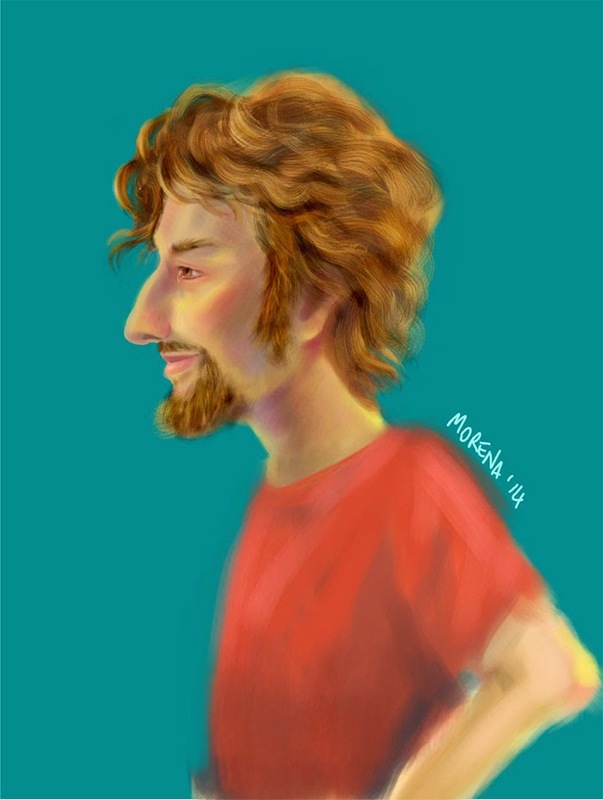 The strokes of Skechbook Pro can get pretty realistic, I find them quite interesting (other than the fact that the brush I used burn the colors once I did a few overlays).